Looking to buy or sell a home in Goodlettsville, TN? Part small town, part prominent suburb, Goodlettsville sits just 15 miles north of Nashville via Interstate 65. Situated along the border of Davidson and Sumner Counties, the city is also just minutes from the Cumberland River and Old Hickory Lake. Despite its convenient location, Goodlettsville residents know that they do not have to leave town to take advantage of numerous business and recreation opportunities. Businesses like Tyson Foods, Associated Wholesale Grocers, Des-Case, and Dollar General have corporate offices inside the city limits. Shopping, parks, and outdoor fun among the city’s beautiful scenery are all great ways to spend a weekend. Goodlettsville residents also pride themselves on being a community-oriented group of people. It is not unusual to see neighborhood kids playing together on the sidewalks along one of the city’s residential streets or see old and new friends getting together for an annual holiday event, such as Christmas on Main Street or the Pumpkin Festival. Combine all of this with the city’s well-performing schools, access to great medical care, gorgeous natural setting, and affordable homes, and Goodlettsville is the perfect place to call home in the Nashville area. The history of Goodlettsville dates back to the late 1700s when a German immigrant named Kasper Mansker was hunting in the area. He found a salt lick there, and by 1779, after finding himself impressed with the land’s abundance of wild game and fresh water, he decided to build a trading post. He called it Mansker Station and other settlers followed him. The community became a popular spot for religious immigrants, and some of the earliest churches built in the 1800s and early 1900s still stand in town today. In 1850, the community changed its name to Goodlettsville to honor a local family, the Goodletts, who served as physicians, store owners, and pastors in town. It officially incorporated as a city in 1958. Shopping is a favorite pastime in Goodlettsville, because there are so many great places to do it. The city is home to RiverGate Mall which features nearly 200 stores and restaurants. It is a favorite shopping destination in Metro Nashville. The city’s Main Street Antique District is another popular shopping destination that has attracted some of the biggest names in music to buy unique home furnishings and other vintage items. Other things to do in Goodlettsville include amateur racing at the Highland Rim Speedway; live music, food, and dancing at the Long Hollow Jamboree; wine tastings at the Long Hollow Winery; and shopping for organic and homemade goods at Madison Creek Farms, which is owned by Loretta Lynn’s daughter, Peggy, and her husband. For history buffs, there are plenty of things to see and do here as well. The Bowen Campbell House was built in 1787. It is the oldest brick home in the county. The old Mansker’s Fort is also available for touring. Goodlettsville is part of the Ring of Fire Trail, as well as the Tennessee Quilt Trail. 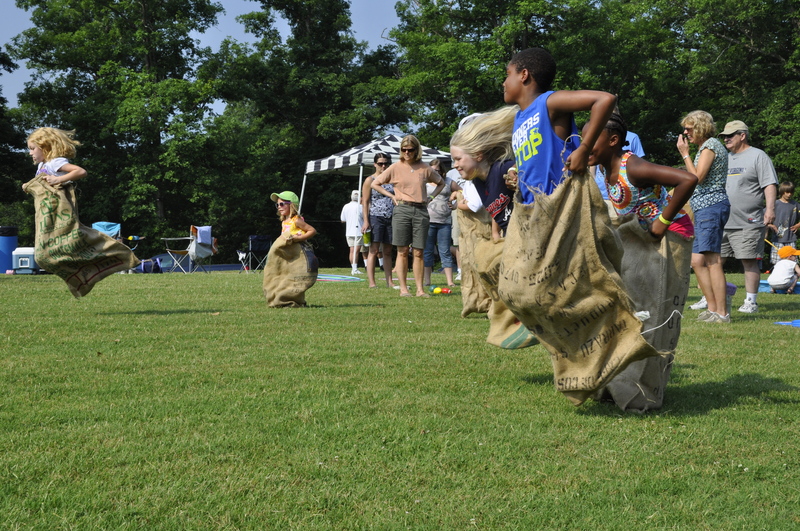 Goodlettsville takes great pride in its 5 parks and recreational opportunities. The largest park in the city is Moss-Wright which features walking trails, shelters, a playground, a dog park, and the historic site where the city got its start, known as Mansker’s Station. It is also home for several popular youth sports programs, including baseball, soccer, football, cheerleading, and softball. Other parks in the city feature a swimming pool, tennis courts, more playgrounds, walking trails, picnic shelters, undeveloped green space, and a community center. Affordable yet well-maintained homes are some of the biggest reasons why people move to Goodlettsville each year. The median home price is below the national average, but the lower price does not mean a drop in quality. From established ranch-style homes and century-old cottages perfect for new homeowners to high-end new construction and million-dollar estates, you will also find a vast selection of housing styles here. You can even find an undeveloped lot or acreage where you can build the home of your dreams. The average home price is around $160,000. Some popular neighborhoods in Goodlettsville are Wynridge, Braxton Park, Copper Creek, Shenandoah, 12 Stones Crossing, Vineyard at 12 Stones, Windsor Green, and Willow Creek.